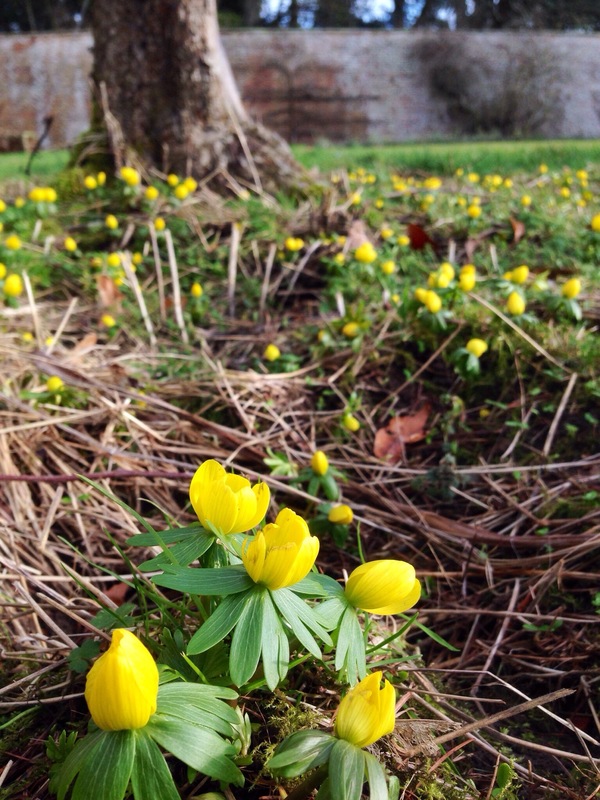 The Winter Aconites make a welcome return! 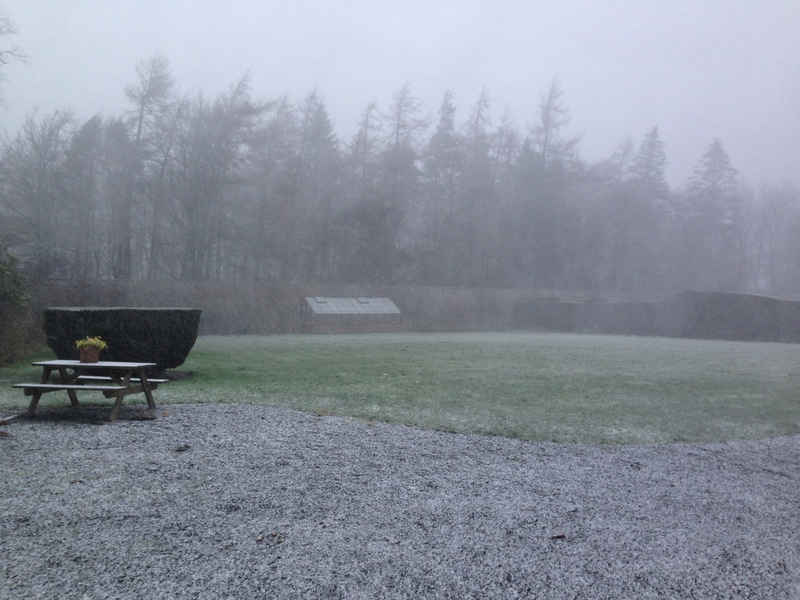 Today was one of blue skies and blizzards, heralding the arrival of snow in this part of South East Scotland. We’ve had a very strange week with the temperature going up and down like a yoyo between 0 and 12 degrees C, culminating in two nights of storms. Not as windy as further north and west, though, and no damage so far. 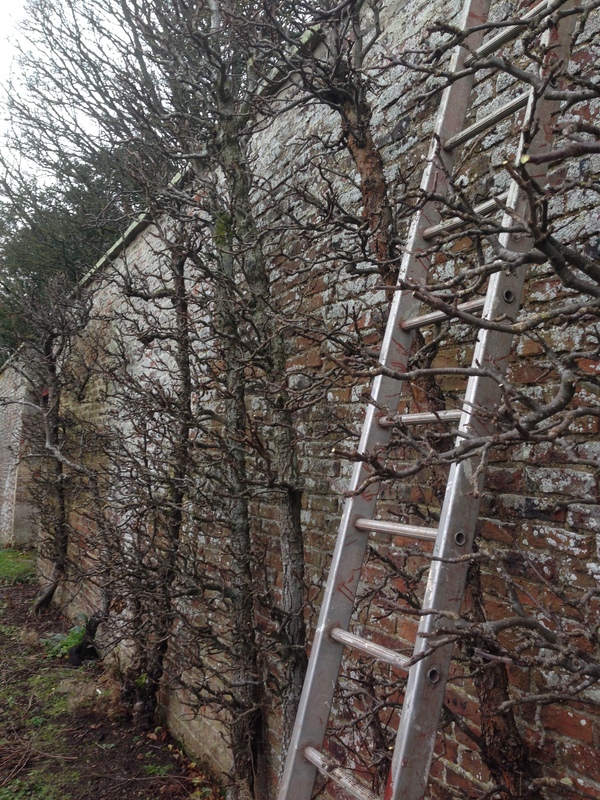 More snow and rain is forecast for tomorrow so the seasonal apple and pear pruning may have to be postponed for a further week! Over the last few posts, I’ve been looking back at some of the things we’ve been doing during 2014, but what of the future? As time doesn’t currently allow for more cultivated beds, any further areas we develop have to pretty much look after themselves. 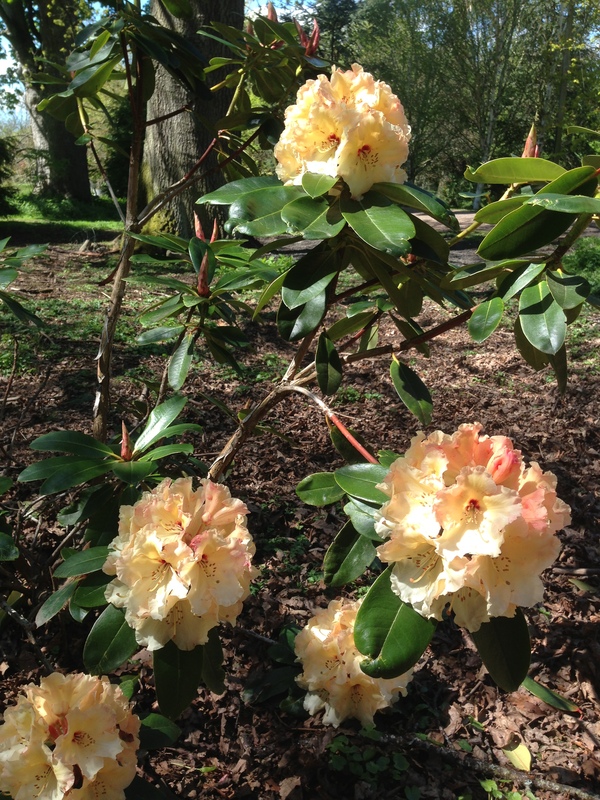 This spring, we put some more Rhodendrons (including R. ‘Scyphocalix’ and R. ‘Virginia Richards’) into the wood and while we greatly enjoy their annual spring display, the woodland tends to go a bit quiet for the rest of the year. For the last couple of years, we have managed to get the rampant nettles under control, allowing access to what is a very pleasant space and I’m keen to plant it further with species that give some summer interest. The challenge of course will be finding rabbit-proof plants as there is a small population that live in this area. I’m fairly hopeful, however, that I’ll be able to do this with plants like Aconitum, Hosta, Euphorbia, Polygonatum, Pulmonaria and Persicaria, all of which do well elsewhere in the garden and which are supposedly rabbit-proof! I’d particularly like to grow some of the larger Hostas like ‘Sum and Substance’ and ‘T Rex’ which grow to nearly 3 feet tall. I’m also keen to create some interest to the east of the lily pond and south of the house. At the moment, this is just grass and the space is quite open and exposed. However, there are some deciduous trees that we don’t yet have in the garden, some of which I’ve grown in our other gardens and none of which are too large, which offer spring, summer and autumnal interest. Of particular interest would be Betula utilis ‘Grayswood Ghost’ (one of the best white-barked birches), Prunus serula (the Tibetan cherry with marvellous peeling bark), P. subhirtella autumnalis rosea (which flowers in the winter from, bare stems), Liquidambar styraciflua Worplesdon (one of the best trees for autumn colour) and Sorbus cashmiriana (a rowan tree with white berries as opposed to the usual orange or red). All should do quite well, not growing too large as to block out the morning east light from the pond. Signs of Spring at The Scottish Country Garden. Some early pollen from the Viburnum bodnantense for the spring bumble bees when they emerge! Is strimming the herbaceous borders a deadly sin?